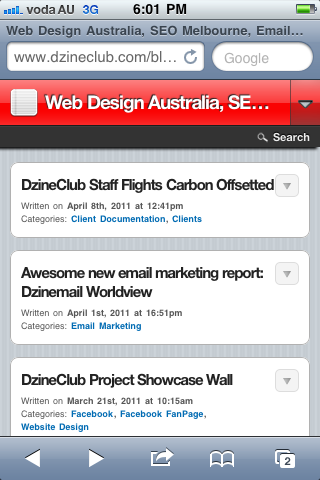 DzineClub Blog is now available on your mobiles. Just point your mobiles to http://www.dzineclub.com/blog to view it on your mobile. To make it an app on iphone please click on the more button (bottom middle with arrow in box) and select add to home screen. This is also a perfect time to discuss our mobile website development service. We will have examples for you to view soon. Stay tuned. To play a part in helping the global environment, all DzineClub staff’s Business Flights are now offsetted for carbon emissions. At the end of each year, we’ll now put up an update with how much carbon emissions have been offsetted using this system for our travels.